This bride and groom standing in the field at Holly Hedge Estate seem to be happily thinking of their future as husband and wife. Many of my couples getting married at Holly Hedge love to use the back field for wedding photographs. 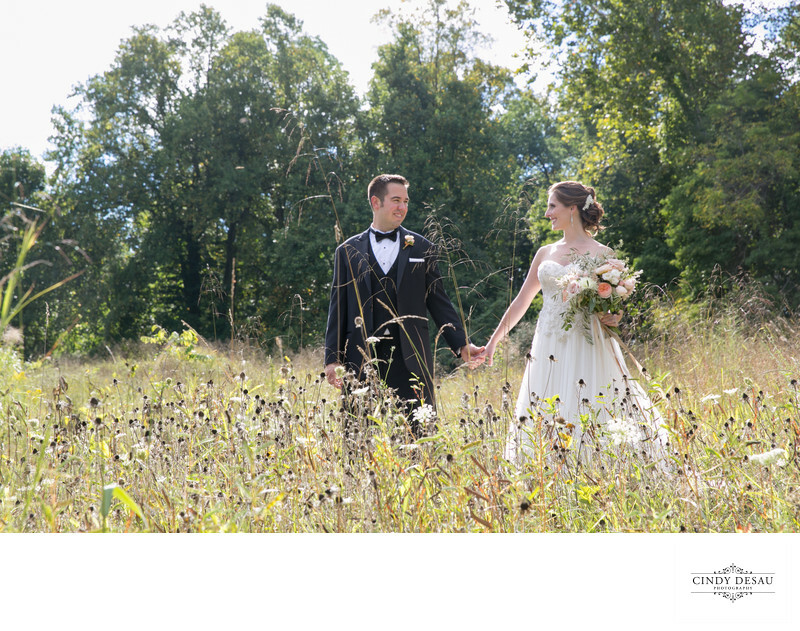 The bride holds a gorgeous bouquet of summer flowers which complement the late summer landscape. I also had them stand behind some of the natural wild plants to make them more part of the scene. As they clasp hands they seem to be sharing thoughts of their future together.